The workers will get between €400 and €700 extra per year. 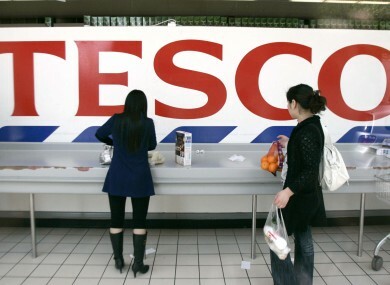 MORE THAN 14,000 workers at Tesco stores across Ireland are to get a 2 per cent pay increase. Trade union members at the 147 supermarkets voted by a margin of 88 per cent in favour of the pay increase, which will work out at between €400 and €700 extra per year for each employee. “This is a very significant agreement coming from the biggest retail employer in the country and we very much see it as a benchmark for other retail employers in Ireland,” said Gerry Light of Mandate Trade Union. Light said that the increase was recognition of “the hard work our members do in Tesco and the valuable contribution they make to the ongoing success of the company”. He said that despite “facing many challenges in the marketplace, Tesco still see the value in giving their workers a pay increase and this is something other employers should take note of”. Tesco remains the biggest supermarket in Ireland with 26 per cent of the total grocery spend by shoppers every week, but it has been steadily decreasing in recent months. Meanwhile, employees at at a major retail group have voted overwhelmingly in favour of a stronger redundancy package. Trade union members at the Arcadia Group – which covers Topshop, Topman, Dorothy Perkins, Wallis and Evans, among others – are now to receive four weeks pay per year of service in the event of any of the stores being closed down or restructured. The deal is two weeks more than the statutory redundancy package, which stands at two weeks pay per year of service. The company has already confirmed that three shops in Dublin’s Blanchardstown Shoping Centre – Burtons, Dorothy Perkins and Evans – are to be restructured in August. Email “Every little helps: Thousands of Tesco workers get a pay rise ”. Feedback on “Every little helps: Thousands of Tesco workers get a pay rise ”.